Here are the 10 most popular American foods of all time. When we think of American classics our minds jump to the comforting standbys we grew up with: hot dogs, fried chicken and chocolate chip cookies. Over the years, this cuisine has made such a mark on us that it seems like at some point or the other, everyone has a little love affair with it. With the splash of American grubs all over, it has transformed from delicious to glorious in India too. And this 4th of July weekend, an all-American feast is just what you need to celebrate the nation’s endless culinary creativities. We present our list of their 10 most delicious food items of all time. This selection covers the gamut from summertime staples to comfort food favourites. (You might want to read this with a burger in hand). Love waking up to the smell of sausages in the morning? Hands down, it's the best way to kickstart the day. Calling all pork lovers, this American staple goes well with apples, onion, mustard, cabbage and tomatoes. It originated as a way for farmers to make use of as much of their livestock as possible, with dried sage as the key ingredient along with an assortment of spices. Low effort yet luxurious, it’s perfect for a hearty breakfast or a Sunday brunch. “A balanced diet is a cookie in each hand”. So let’s take a moment to thank Ruth Wakefield of Massachusetts, who came up with the brilliant idea of adding chocolate to her butter cookies sometime in the 1930s. 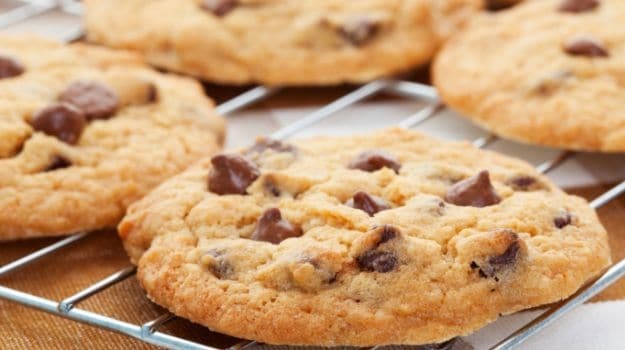 If you’re crazy about cookies just like us, bake a batch of chewy and crunchy cookies to get your dose of chocolate, and take this comfort treat to a whole new level. Can you feel the serotonin releasing? Gooey, melty, warm and sweet -- nothing evokes family vacations and carefree camping under the stars quite like this classic American food. 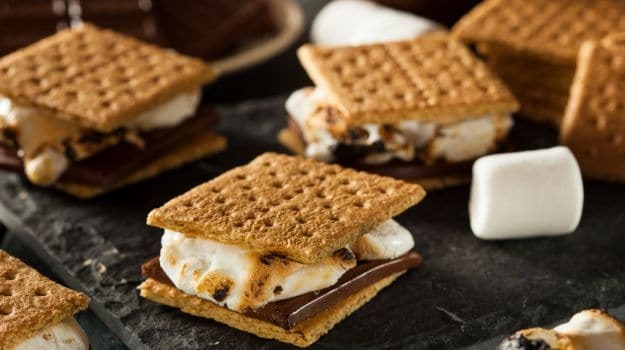 S’mores are basically roasted marshmallows and a layer of chocolate sandwiched between 2 pieces of graham cracker. It’s the simplest of the desserts, messy and mouth-watering. S’more please! (We bet you can’t get enough.) So get those marshmallow sticks sharpened and celebrate America’s birthday. What do you get when you cross a croissant with a doughnut? Introducing: Cronut. 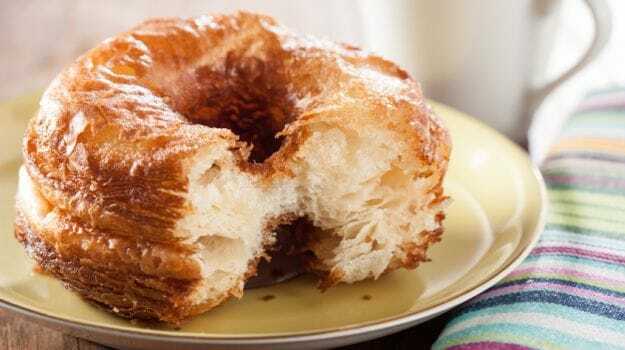 The current gastronomic craze about the cronut makes it the most sought-after snack in the world! Made with laminated dough, it is first proofed and then fried in grape seed oil at a controlled temperature. The fried pastry is then sugared, filled and glazed. The cronut was the unique creation of French pastry chef Dominique Ansel and was launched in May 2013 in New York. With the crispiness of croissants and goodness of doughnuts, it just doesn’t get better than this. 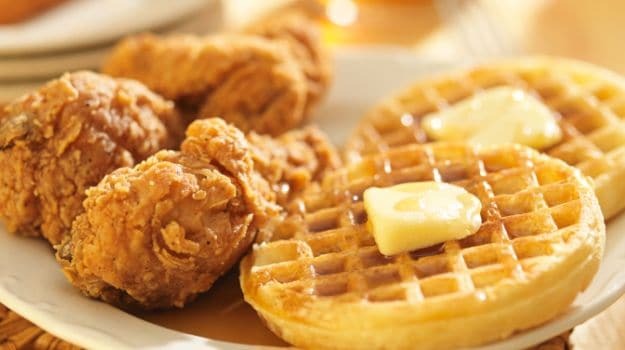 Many years ago, some unknown genius decided to combine all the greatest parts of a fried chicken dinner with all the greatest parts of a waffle stack to create this ultimate sweet-savory breakfast staple. Their brainchild continues to delight stomachs all over the world. Originated in America, fried chicken is the crispiest, most delicious thing you'll ever put on top of waffles. A sinful delight you surely can’t miss! 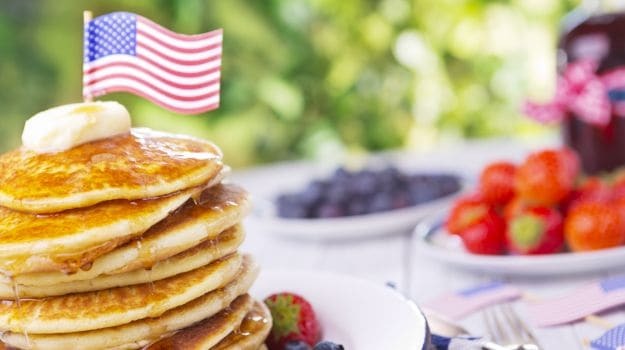 When it comes to typical American breakfasts, there's one front-runner: pancakes. Variations abound, but you can't go wrong with a short stack of fluffy flapjacks. 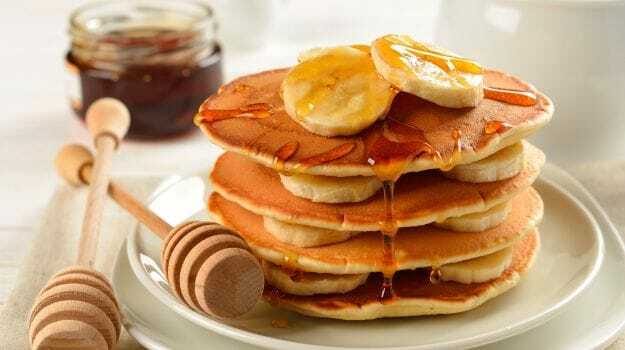 Pancakes are basically flat cakes, often thin and round in shape, prepared from starch based butter and cooked on a hot surface. They can be topped off with a variety of condiments like maple syrup, fruits, bacon, egg and of course, chocolate sauce. Yes, pancakes make people happy. It's creamy, it's cheesy, it's downright divine — it's macaroni and cheese. This casserole baked in the oven is considered America’s ultimate comfort food. Tip: Use a good mix of different cheeses to get the most flavourful macaroni and cheese. Also, top it off with a shaving of Parmesan. Oh so delicious and too good to be true, mac and cheese is a perfectly complementary concoction. It gained its popularity after being introduced by Thomas Jefferson to The United States. 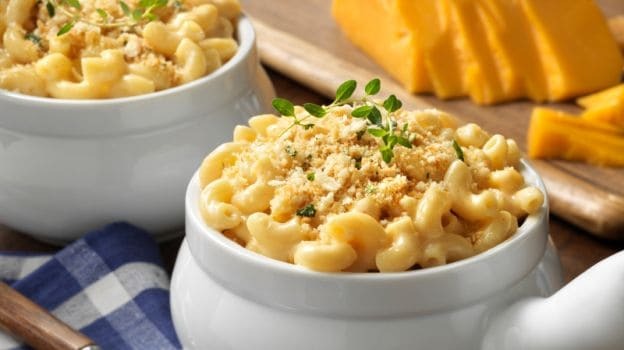 While no single inventor can lay claim to the classic mac and cheese recipe, everyone has a favourite version of the dish. 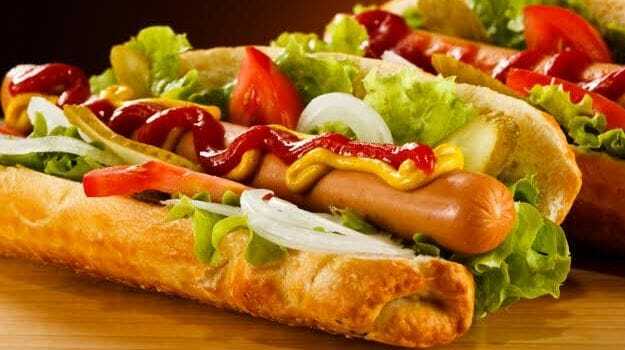 It doesn’t get more American than a basic hot dog, sandwiched between a sliced bun, topped with a squiggle of ketchup and mustard. The sausage was created in the late 1600’s by John Geoghehner, a butcher from Germany. They were popularised in Chicago in 1893. 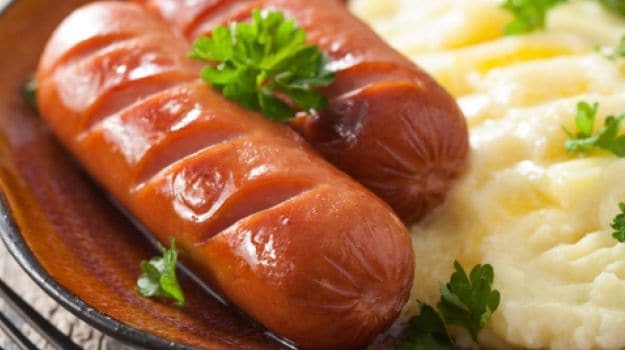 Everyone’s favourite hot dog is basically a cooked sausage which is traditionally grilled or steamed. Garnish with mustard, ketchup, mayonnaise, onions, relish, cheese and chilli. 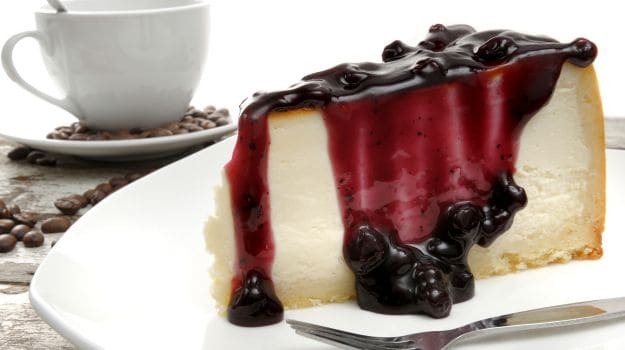 Creamy, smooth, divine… Yes, the adjectives that describe the taste of a cheesecake are hunger provoking. This melt-in-your-mouth dessert brings a bright finish to any meal. Thank God for William Lawrence, who ‘accidentally’ made cream cheese. The buttery biscuit base topped with cream cheese and tons of condiments will leave you longing for more. Spruce it up with fruits, whipped cream, nuts or even chocolate syrup. This is proof that God loves us and wants us to be happy. Let’s face it - who doesn’t crave a really good, juicy patty in a fresh bun? It's on nearly every American restaurant's menu. It boasts gooey cheese, tomato, lettuce, and a zippy pickle sauce. Ask for the meat to be medium rare and customise your toppings just the way you like it, with caramelised onions, mustard, mayonnaise, and relish. 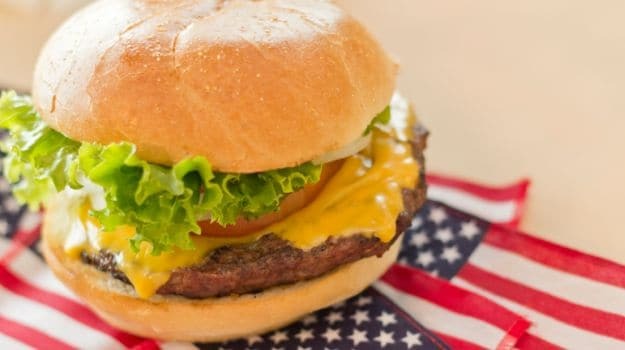 Americans contend to be the first to combine two slices of bread and a steak of ground beef into a hamburger ‘sandwich’. The Food Pyramid: Should You Follow the Pyramid Theory to Plan Your Daily Diet?